To ensure the provision of quality Health services to all public facilities at the regional level focusing on the client, satisfaction. • Creating annual master plan which will assist in monthly work plan/monthly cycle. • Orient hired providers on the new/revised tools and protocols. • Provide on the job coaching for hired provider when required. • Provides coaching to driver on demand creation especially on health education. • Preparing list of expendables that will be used in outreach events during the month and get approval from the respective leader. • Preparing list of the range of family planning products to be used in outreach events during the month. • Requesting equipment for outreach events from program team when needed. • Ensure that PSI standards and procedures are followed in handling and reporting adverse events and complications. • Ensure proper communication with referral doctors when handling adverse events and complications. • Maintain regional database of regional referral doctors. • Ensure update and communication with Quality Manager if regional list needs to be updated and referral doctors trained and identified. • Collaborate with the local Government in major regional and districts events such as Family planning day, HIV/AIDS day etc. • Participation in Comprehensive Council Health Plan (CCHP). • Degree in Nursing/Midwifery or other related field. • 2 years'experience managing health networks. • Train. in Implants and IUCD insertions and removals, as well as short term and long term family planning methods including client screening, counseling and infection prevention. • Knowledge of IMCI, CCSPT and PAC will be an added advantage. c) Monitor activities using program implementation Quality Assurance (QA) checklists and feed data collected into data collection database. • Ensure data collected following M&E procedure and protocols are submitted in timely manner. Review reports submitted by partners for accuracy. • Degree in Statistics/Public health, Demography, Sociology and/ or any other related field. • At least 2 years working experience in related field. • Knowledge of computer applications, MS office packages. • Experience developing presentation and reports. • Experience in Program design and program coordination. • Experience working with partners. • Skilled in HCD process is an added advantage. Application for the position must include: Cover letter illustrating your suitability for the position against the listed requirements. Application will be considered valid, if sent/received before 1700 hrs, Tuesday, 10th July, 2018. Please note that only short- listed applicants meeting the above requirements will be contact.. 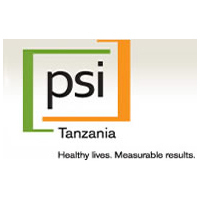 Send your application to recruitment@psi.or.tz in MS Word or PDF file. Indicate the name of position you are applying for on the subject line of your email.